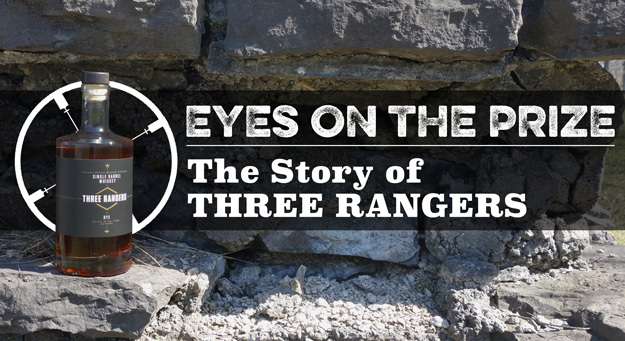 Three Rangers was founded and is run by veteran Army Rangers who have ingrained within them a history of extraordinary experiences along with a strong, dedicated set of values. 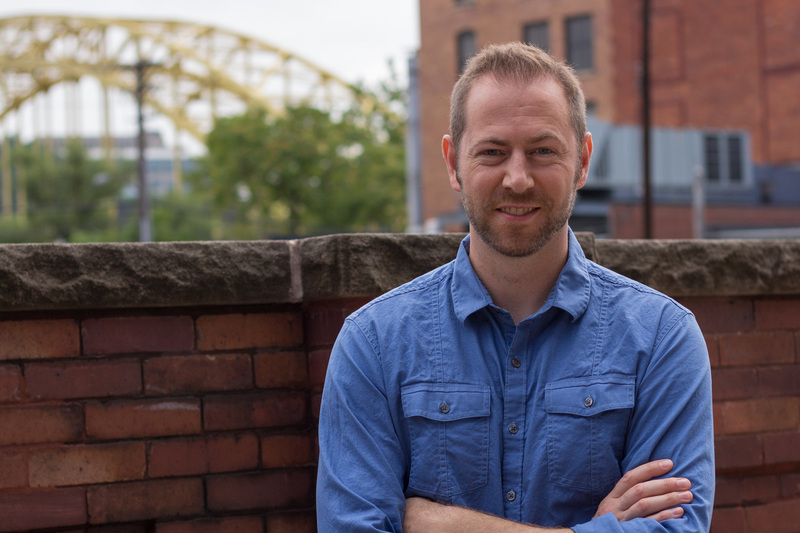 Their vision is to “Lead The Way” for veteran focused companies by setting the example of commitment, community, and leadership for all to follow. 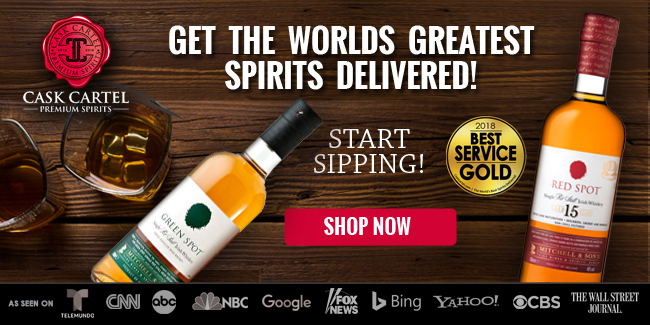 They do this via the Three Rangers company which produces spirits, as well as the Three Rangers Foundation, a separately formed, but closely related 501(c)(3) charitable organization with a mission to empower veterans to achieve lifelong success. Breaking Bourbon was honored to have an in-depth conversation with two of the Three Rangers’ visionaries: John Collett, founder and distiller; and Jack Landers, CEO, to discuss their decision to enter the whiskey market and what it’s been like to launch their very first batch of whiskey. 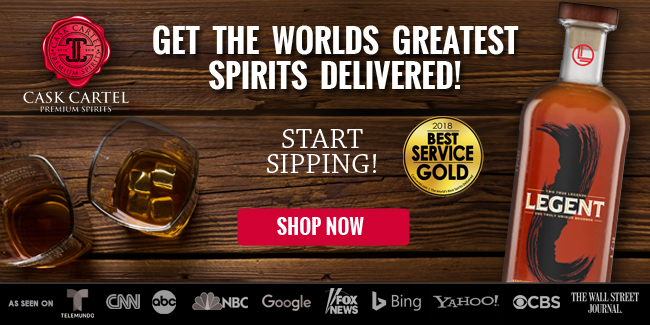 Breaking Bourbon: So what’s your whiskey story? But it was the science of distilling and distillation that always caught my attention...what I was really attracted to. When I was in college after getting out of the military I found this company called Brew House. It’s a southern company and they sell stills and stuff like that. I was like man, I want to do this as a project and get back into the science of distilling. I ended up buying a still and had it shipped to my apartment in Chicago. I got this whole thing delivered and then looked at it and thought, if the neighbors saw this through my window and I had this thing set up they’re going to think I’m making meth or something. I started looking at the legalities of it and then decided, you know, I’m just going to shelf this thing. I ended up going on a tour of KOVAL distillery and through that tour they sent out an email looking for their first assistant distiller position...and then I became one of their distillers over time. That lead into Three Rangers, because Three Rangers was always my dream. 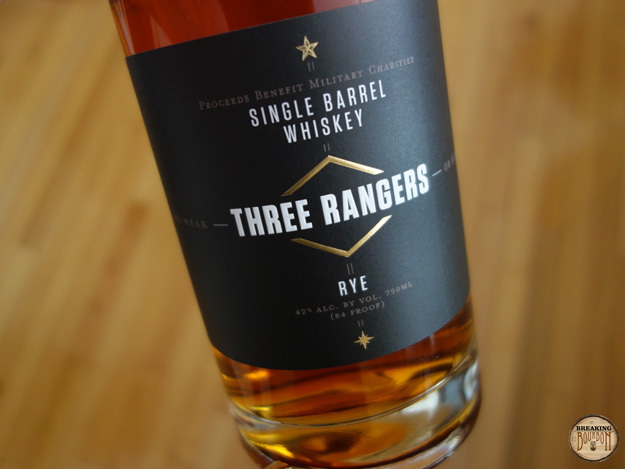 Breaking Bourbon: Is Three Rangers an extension of KOVAL? John: I was one of their distillers for a number of years. And part of me being one of their distillers they offered to help me help veterans by making my own whiskey brand. 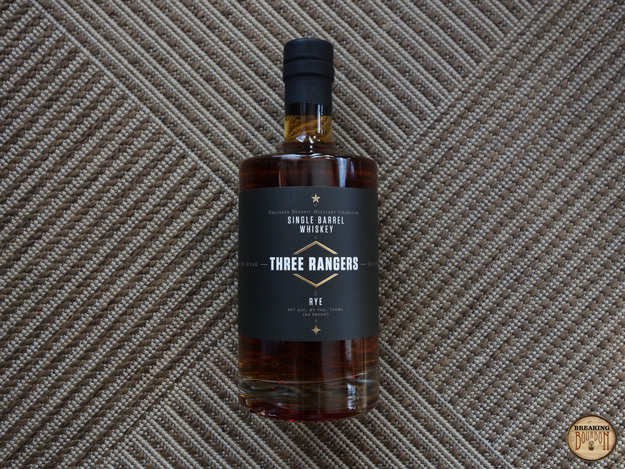 So KOVAL is KOVAL, Three Rangers is Three Rangers, but Three Rangers is distilled at KOVAL. I distilled my whiskey there and to this day distill my whiskey there. ‍Jack: We are a private label. John is present for distillation and process. We have our own permits for TTB and state permits. ‍Breaking Bourbon: So what exactly is an Army Ranger? Jack: Ranger lineage goes back about just over 300 years. The military at the time needed a special brand of soldier and at that point in time, it was scouts to scout out enemy positions behind enemy lines. They were given the name ‘Ranger’ based on how many kilometers they ranged that day. Their integrity was of utmost importance because commanders were making decisions off of the reports they were given. They had to be accurate. So the Ranger values were born there. There was another famous Ranger about 75 years later, Major Robert Rogers who had a list of standing orders that are still used today by modern-day Rangers. Things like keeping your musket clean and your hatchet scored. Keeping your equipment ready to go. Being awake at dusk and dawn, and discipline and integrity, those sorts of things. So throughout history at every major engagement the U.S. has been in, Ranger elements have been activated and called on to do special missions for the freedom of the U.S. In World War II, which was the largest of Ranger forces, you had the Darby's Rangers 1st and 5th Battalions which were highlighted in the movie Saving Private Ryan. They were famous for leading all the forces off the beach at Pointe du Hoc and off Normandy beach. As well as in the Pacific tier with Merill’s Marauders and there’s a movie reference Merill’s Marauders. Korea and VietNam where Rangers were used in small unit tactics and they ended up transitioning their techniques when the UDT teams were stood up to be modern day SEALS. The underwater demolition teams come ashore. They took the mission of small unit tactics and in 1976 Rangers stood back up with modern Ranger Battalion, the 1st and the 2nd...and in 1984...which you’ll notice some things on our bottle, 84 proof, which symbolizes the status of the modern Ranger regiment in 1984. Almost everything on our label lends back to some form of lineage or heritage. And that goes back to the beginning of what we learned as young Rangers, how important our ancestors, forefathers discipline, etc., was. In 2001 Rangers lead the way into the jump…in 1993 the movie Black Hawk Down...John, and Clay, and Larry [of Three Rangers] are veterans of the Battle of Mogadishu, and then going back to 2001 Rangers jumped into a number of other objectives. Since September 11, 2001 Rangers have been deployed every single day since. On average conducting 10-15 raids a day overseas on enemy positions. ‍John: As well as Black Hawk Down, Jack was a first sergeant on Haditha Dam, which was a significant battle as well. So we are 84 proof, through and through. Breaking Bourbon: How do these experiences affect what you do on a day to day basis? Jack: Using a brand name 'Three Rangers,' we have all our brothers and sisters holding us accountable every day in all our marketing and every bottle they buy, they taste. Every action the foundation takes as well. As you see in any of our marketing that foundation of for warriors, by warriors...that warrior ethos and what we do. We’re three infantry guys that decided, let’s start selling whiskey and figure this out. No background, just rolling up our sleeves, learning how the system works, the laws, and doing the best we can. ‍Breaking Bourbon: It sounds like you’re onto something really great here, more than just another whiskey inside a bottle. As soon as I started reading more about you and your organizations, I knew I wanted to talk with you to learn more. John: And the thing too is the love and passion behind making something superior...an amazing product. People will ask me the chicken or the egg…you know what came first the foundation or the whiskey? You know, ever since I got out of the military...I had created a couple other different organizations to figure out a way to help veterans like myself who needed help and figure out how to fund that. I finally found a passion that I love to do and locked that passion in. If people are going to drink, why not make a superior product? People are going to drink regardless, and then the funds from that product are going to fund our foundation and help veterans. I met Jack when we were both in [Regiment] 375 and he’s an amazing man. Very smart individual, great, great business person. I’m the artist...I can do the science part, I can do the distilling part, but when it comes to the business aspect...not something that interests me, honestly. I like making things, I like creating things, and that’s why I’m blessed to have somebody like him. It’s a yin-yang type of thing, you know what I mean? I’m very blessed and very fortunate to have him involved and running the projects and running the whiskey company. 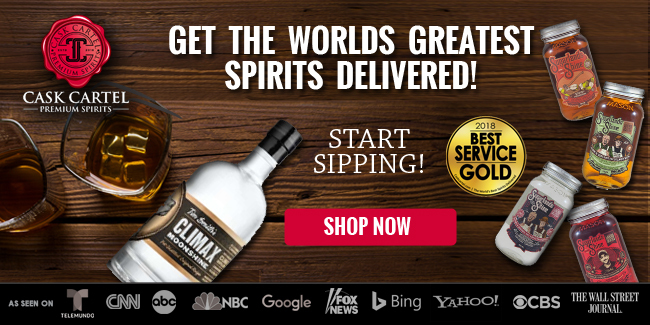 ‍Breaking Bourbon: I see you offer some other spirits, vodka and gin…is whiskey your passion, or more distillation or the process as a whole? John: We place the same amount of pride and love into each product. 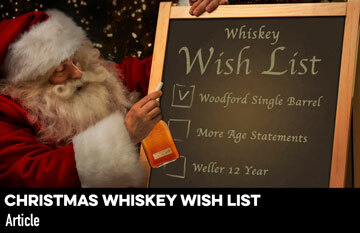 Whiskey was the first, that was my passion to figure out how to make a whiskey. Figure out how to distill it right and make one of those amazing quality products that’s out there. When it comes to vodka and gin we place just as much integrity and importance on those products. 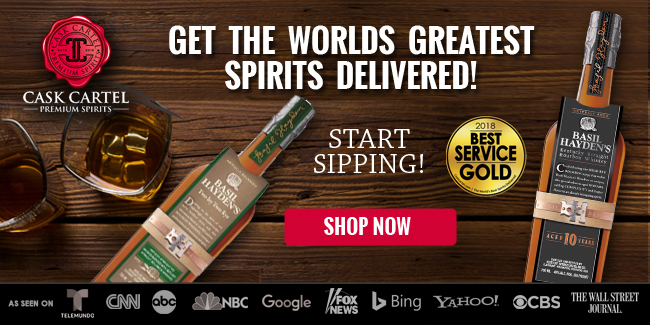 The interesting thing about this is what makes a good whiskey is a good vodka. The white whiskey...or how you create a good whiskey, is basically the same process you make a vodka. Of course vodka is distilled to a higher ABV, typically you’re going to have a single grain, but it’s basically the same process. As you move forward once you have a good base of alcohol, and then barrel it and have the age that’s where you get a good whiskey. We’re distilling using a Kothe still, 16 plates...and just how that still distills is amazing. It’s a great still and the alcohol it produces is phenomenal. When you set it up to produce whiskey it keeps that grain flavor in. It’s a 5,000 liter still. And it’s about 3½ to 4 days to get your fermentation done, pump it over, and then set your still up so you keep the grain flavor in...it’s a very fine cut. A lot of other companies leave a lot of their tails in. Those do give it a different oily kind of taste, but the very fine cut that we do allows us to age this whiskey and create a product that’s superior because it’s not going to hang you over. It’s a beautiful and different way to distill and that’s what I was taught at KOVAL. I also helped refine their process and now we’ve made it a superior product. 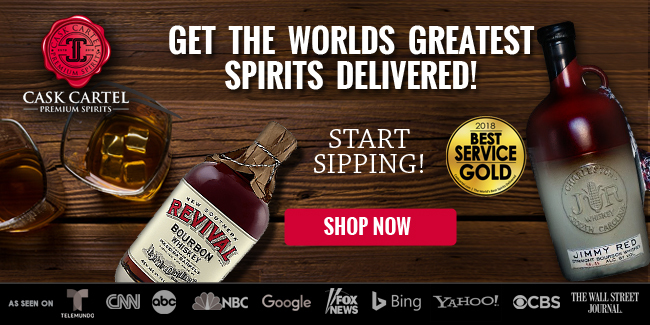 ‍Breaking Bourbon: Speaking of grains, why did you start with a rye whiskey? 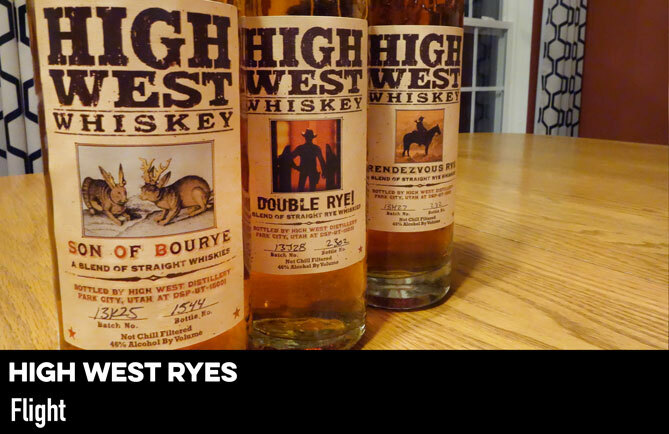 John: I chose the rye about 5 years ago, I started in late 2012. Why we chose a rye...it was something that wasn’t being done 5 years ago. I could have done a bourbon, but a rye seemed like something that was different. 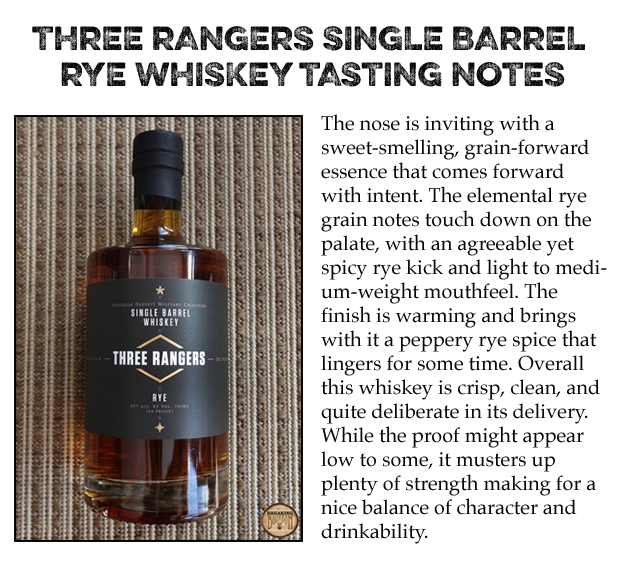 Bourbon is amazing and we’re going to do a bourbon at some point, but rye was just a little different and edgy and I felt I wanted to put a recipe together and I did...and I really like it. Jack: We put a lot of thought behind our label, to make it mean something more than just something to catch someone’s eye. We feel the black with the gold diamond is unique, but everything on that label means something to the veteran community at large...whether Navy, Air Force, Marines, Coast Guard, or even law enforcement. 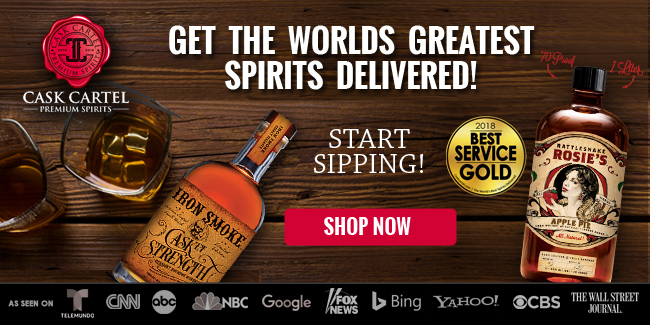 ‍Breaking Bourbon: How do consumers find your product and get in touch with you? Jack: The best way to get in touch is our Facebook page, Instagram, or our website. 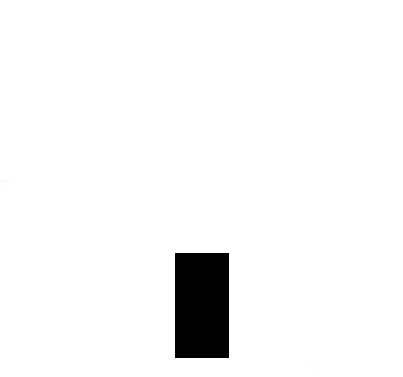 We should have a new website coming on board here shortly as well as an e-merchandise store. We just released in the Army Air Force Exchange system about three weeks ago. And we’re finishing up a second buy there and hopefully going across their entire fleet. We’re in their tier 1 and tier 2 stores right now. And then the Navy Exchange is giving us consideration for a fall buy. As far as commercial distribution we’ve got Missouri and Illinois underway right now. We’re currently distributing in Iowa, which is a control state. We marketed kind of backwards...we went to the consumer first and then we worked our way backwards based off of requests. Iowa just happened to be the first state that contacted us for first distribution. And then we’ve had a couple other meetings…little bit of a unique value proposition and I think some of the larger [distributors]...Southern Wine in the works…are a little unsure on cost based marketing. Illinois and Missouri should be by July timeframe, which will open up some online purchasing. Hopefully Illinois allows that outside the state so that will at least give 23 other states access. D.C. is on the...well we just found an interesting law…if you’re not signed on with a national distributor D.C. bars can buy direct. One of the whiskey houses downtown there contacted us and pointed that out so we’re working through that right now. As a small brand and with aging there’s a significant investment, so over the next 12 to 18 to 24 months we will begin scaling at a pretty rapid rate. So two years from now we should be pretty high volume. Right now we’re a typical sized craft. When we launched on social media we had borderline a social coup going on...unfortunately people not understanding state distribution. 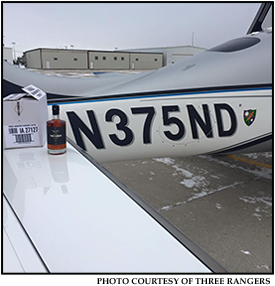 When we launched in Iowa we had a gentleman fly an airplane in to pick up two cases because he was eager to get it...it’s like bootlegging in the 21st Century! John and I both served in the 3rd Battalion of the 75th Regiment known as 375. This Ranger who flew his airplane...his FAA tail number is 375! When he posted the picture on Facebook of this SR-71 little sport plane with that tail number and cases right there that got a good following behind it, it was pretty cool. 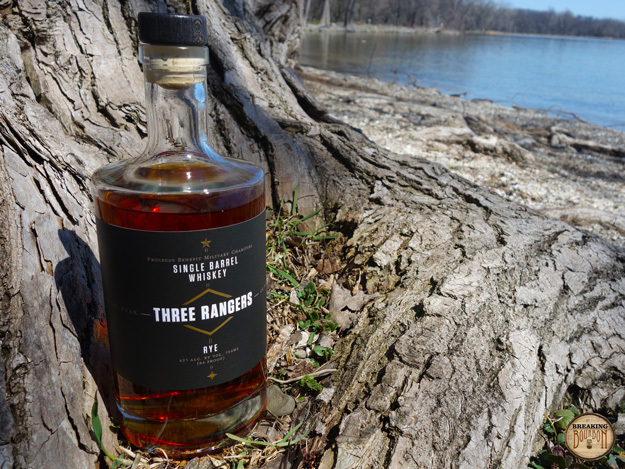 ‍Breaking Bourbon: So what’s the next step for Three Rangers? Jack: So right now we are continuing down the path with KOVAL as a private label. At some point hopefully in the next 9-18 months we hope to transition to a distillery complex of our own. It will follow through kind of the same warrior ethos. Kind of a destination location so more to do than just the distillery. Possibly something along the lines of an incubator. I think a lot of the smaller distilleries are looking at also a beverage incubator. Kind of a veterans flair, or focus on that.